Have a student who says they weren’t able to log into your test or says they were only able to see half of the test before something went wrong? 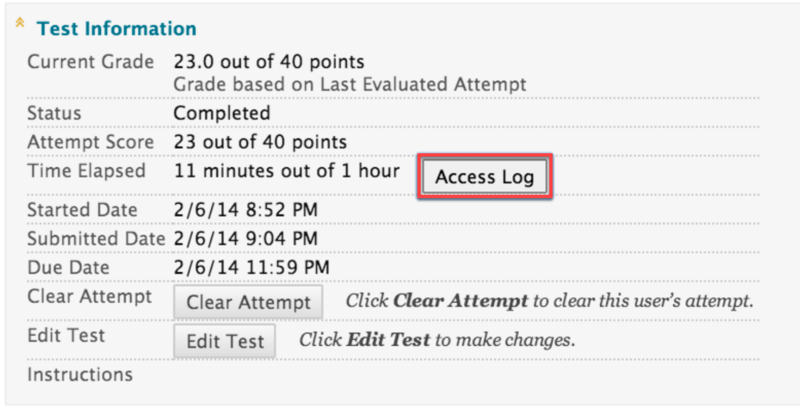 You can verify this by checking the test access log for that student’s attempt. 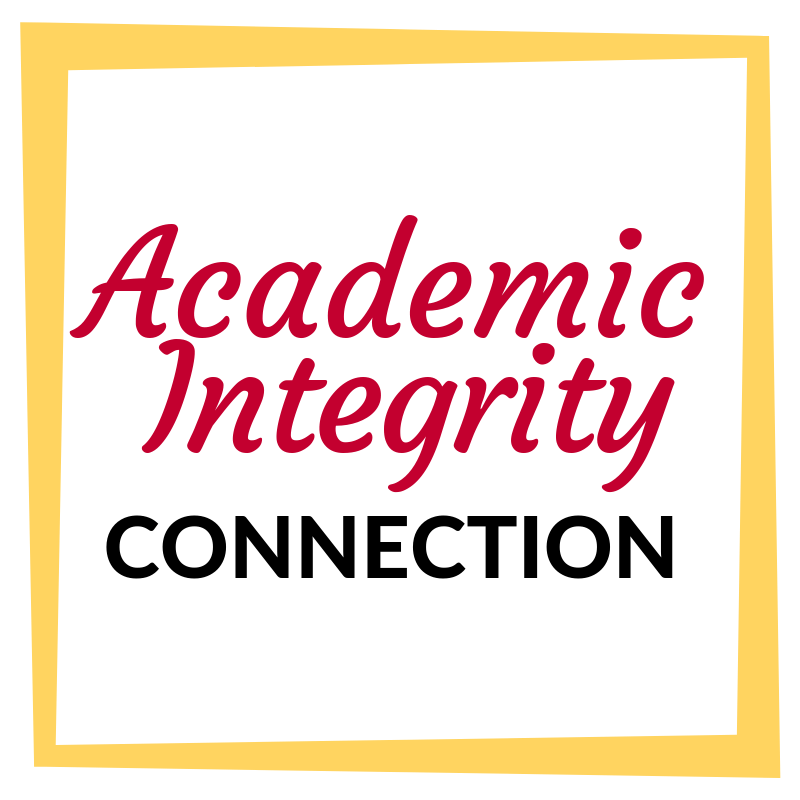 Instructors and other users who are granted permission can view a test attempt’s Access Log for a list of times of various student interactions with the test. The log can help to confirm whether a student began a test or ran into problems during a test. This is found within Test Information when viewing an assessment attempt. The Access Log shows a detailed list of all the interactions a student had with the test for that attempt. 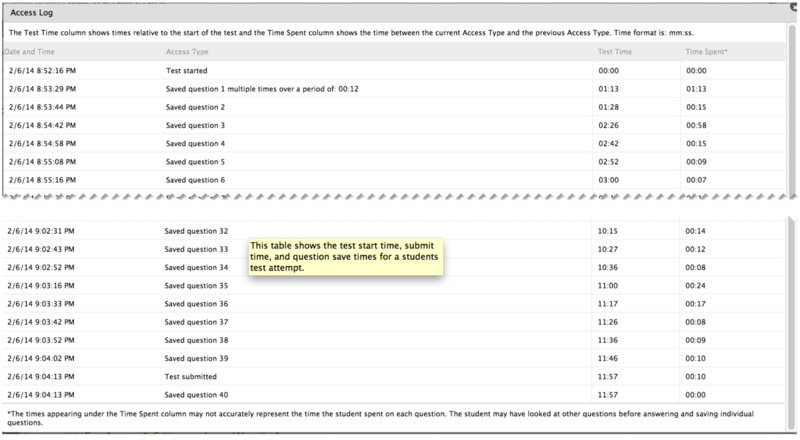 It shows the time the test was started, when each question was saved, and when it was submitted. Be aware that the time spent on a question may include the time that the student spent looking at other questions before saving that answer. 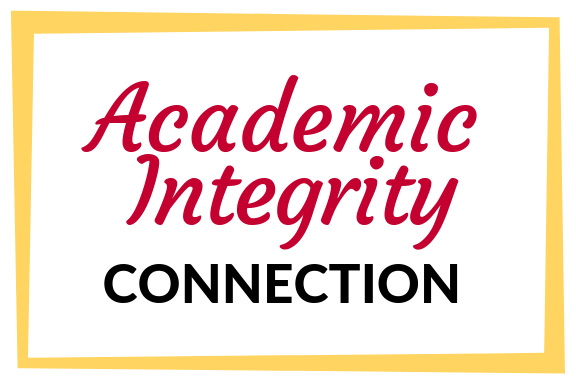 You can use Test Access Logs to to verify whether or not a student accessed the test when they say they were having trouble with it and exactly how much of the test they were able to complete.